To provide a safer environment for the public and expedite fan entry into the stadium, the Sugar Land Skeeters will begin checking all bags that enter into the stadium during all Skeeters home games and any other in-stadium public event. Bags including: purses, clutches, diaper bags, and swim bags (for the pool area) will be permitted after they are searched at the gates during entry into the stadium. Additional clothing, blankets, etc. are permitted if carried loosely or in an approved/checked bag. Blankets/towels should be carried over the shoulder to be screened more quickly. Small cameras, binoculars and cell phones may be carried in loosely or in an approved/checked bag. If you leave the stadium and take a bag with you, the bag will be searched upon re-entry into the ballpark. Fans will be asked to either take prohibited items back to their car or dispose of prohibited items at the gate. The Sugar Land Skeeters and the stadium are not responsible for items left behind, lost, stolen, or damaged. Note: If any of these items are found in your possession we will ask that you take the items back to your vehicle or dispose of them before entry into the ballpark. All fans who attend a game or event at Constellation Field and are carrying a bag will be subject to a bag search. The game day attendants in charge of our bag checks will be in yellow vests. They will be stationed outside of the gates with tables available to set your items down. The attendants will then search the bag with a search baton in order to check the bag entirely. Once the bag is approved you will be sent though the gates to the ticket taker who will grant entry once tickets are scanned. Will there be a lane for "No Bag" entry? Yes! In order to keep the process as easy as possible, the far left entry lane of the main gate will be reserved for entry for those who are not carrying a bag. The other gates will be subject to bag searches. To simplify, if you are carrying a bag, please enter a line that has search attendants and tables in front of the gate. You will not be permitted to enter the "No Bag" gate if you have any bag that requires search. Can fans carry cameras, binoculars, smart phones or other approved items separately? Yes. Binoculars, phones or cameras can be carried into the stadium so long as it is not in its own bag. This is not a restriction on items that fans have been able to bring into the stadium. Are there certain size or color (clear bags) restrictions? No! You are permitted to a bag of any size or color. All will be searched regardless of these facts. Yes! These bags will also be searched, but they can be brought into the ballpark. Yes, however these seat cushions are eligible for search as well. Yes, blankets are permitted. Fans will be able to bring blankets in by tossing them over a shoulder or arm so that they can easily be screened. If I have certain items that I need to bring into the stadium for medical reasons, are those bags also susceptible to search? Yes! For the safety of all our fans at Constellation Field, all bags are to be searched before entry into the ballpark. The attendants have the right to refuse all entry. Make sure that any bags being carried in meet guidelines. Remove any jackets or other large, bulky items from your bag and carry these in hand. When the contents of your bag are clearly visible, staff can screen bags without requiring any contents to be removed. If blankets or other items conceal the contents of a bag, our staff must request that they be removed in order for screening to take place, delaying the process. We would like to thank you all for helping us to implement this policy. Our main goal is your safety and the safety of those around you. We value the family fun environment that we create, and this policy will enable us to make the ballpark an even better place to be! 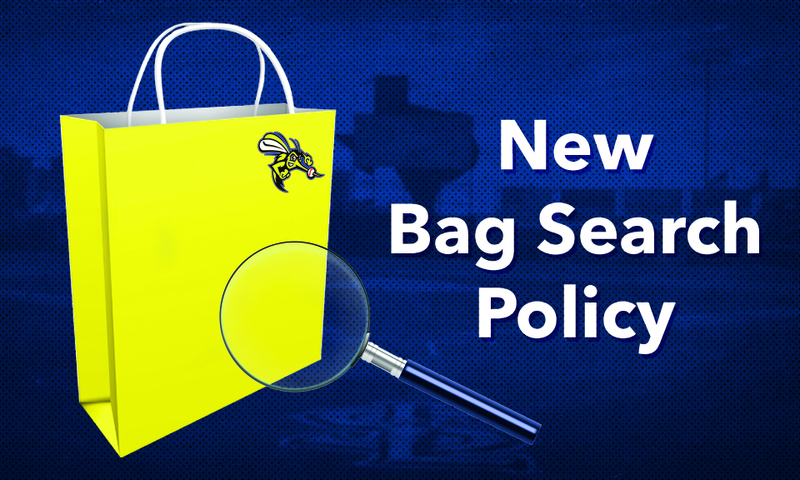 On behalf of the Sugar Land Skeeters, we thank you for your understanding and compliance of our new bag search policy. We can't wait to see you out at Constellation Field soon!